Snowmobiling Sunday! is set for Sunday, Jan 24. 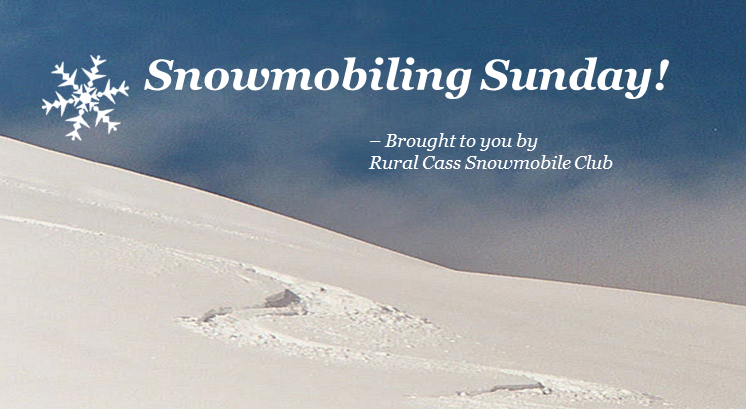 Local snowmobilers can join members of the Rural Cass Snowmobile Club at the club’s warming house for a bonfire, plus hot chocolate and hot dogs roasted on the fire. All ages welcome.